SummAxis is more than a content database or template library. It is a system to manage, create and distribute engaging, business-critical print and e-communications. Here are just some of the best bits. ON POINT. ON BRAND. ON DEMAND. as RFPs or pitch documents. Modular in design, you can choose what role SummAxis plays in your business. 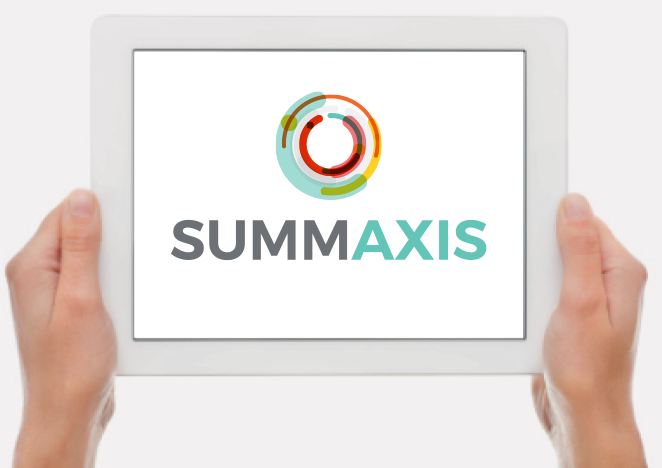 Designed to ensure SummAxis is exceptionally easy to use, administrators can manage the master content, while users build distinctive documents, apply language preferences and access saved favourites, all from one powerful dashboard. A simple idea that delivers incredible value. SummAxis Connector technology enables variable data to be tagged to enable key facts and figures to auto-populate across all documents and fuels the system’s powerful search functionality. SummAxis enables you to set compliance rules by territory with relevant disclaimers, facts and figures all automatically updated in just a few clicks. Administrator privileges guarantee version control and individual user logins bring critical accountability. flexibility to build your company credentials, product literature or fund reports in a range of file formats. It can even integrate with legacy CRM systems. company in its best light. And they’re fully accessible in Microsoft Office via the SummAxis Connector technology. and the system content will be available there too.